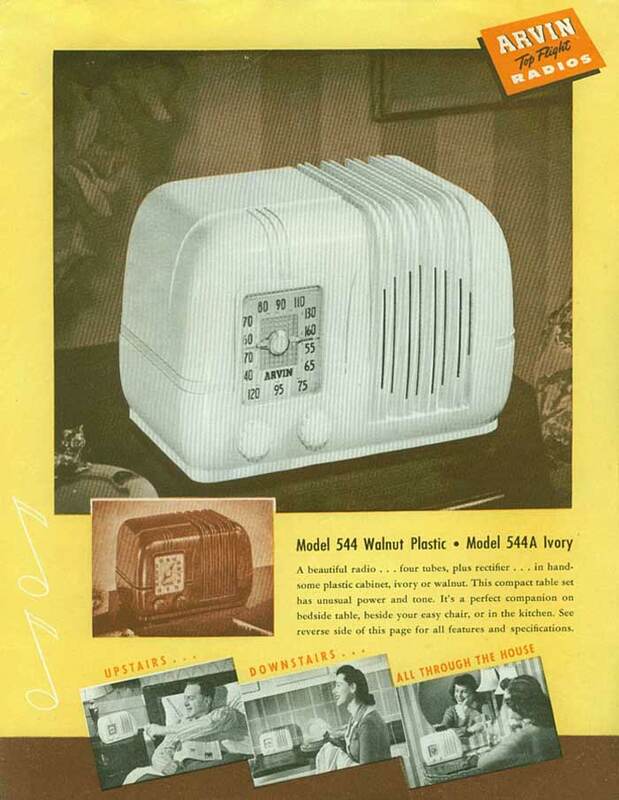 The 544 produced by Noblitt-Sparks Industries is a fairly generic AA5 radio enclosed in a neat bakelite cabinet. The most notable feature of this model is its unconventional left-hand dial and knob placement. 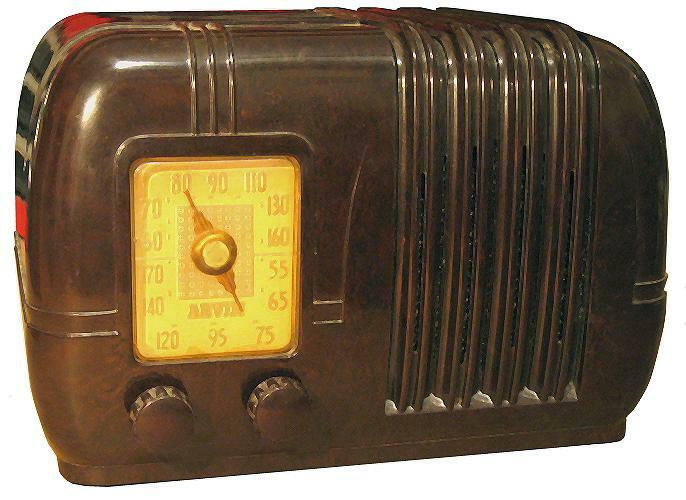 I bought this radio from a VRPS swap meet for $10 and it was missing the dial pointer, knobs, and tubes. The replacement tubes and knobs were fairly easy to track down, but the dial pointer took me almost 6 years to replace! Beware of buying an incomplete radio and expect to complete it someday.